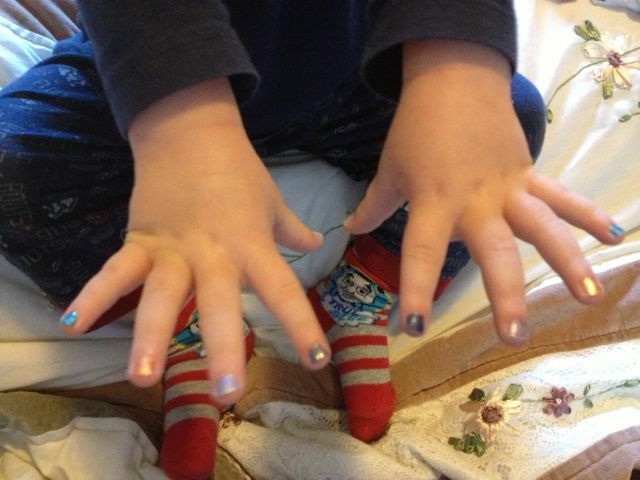 E’s fingernails – symmetrical colours: teal, golden orange, iridescent blue, indigo, and pale lavender. He picked ’em. 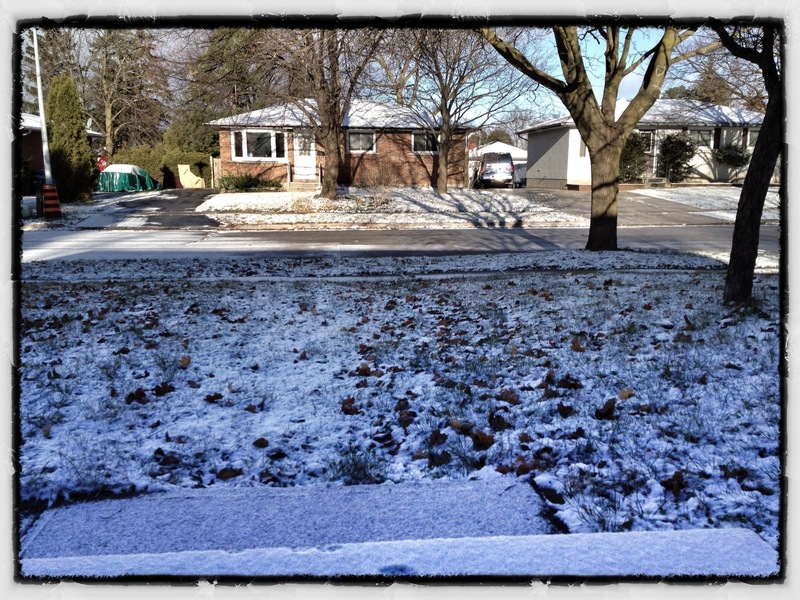 First snowfall – one month from Christmas Eve! (Technically it was last night, but it made it through to morning.) Photo by Daddy. 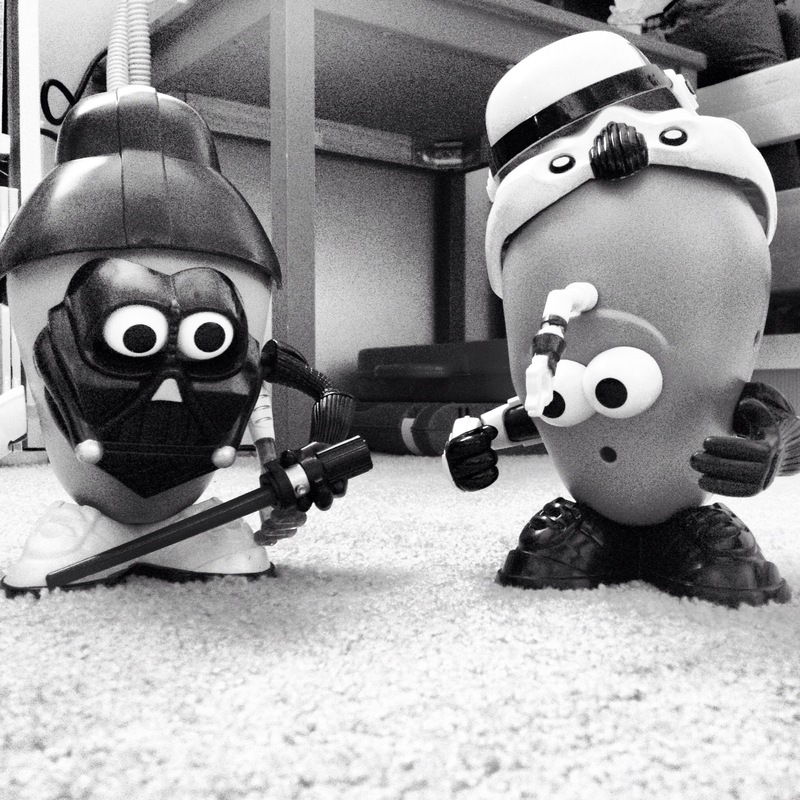 Star Wars Potato Heads creation by E and Daddy – photo by Daddy. They look so real, no? LOVE that hands-display! Love those hands.